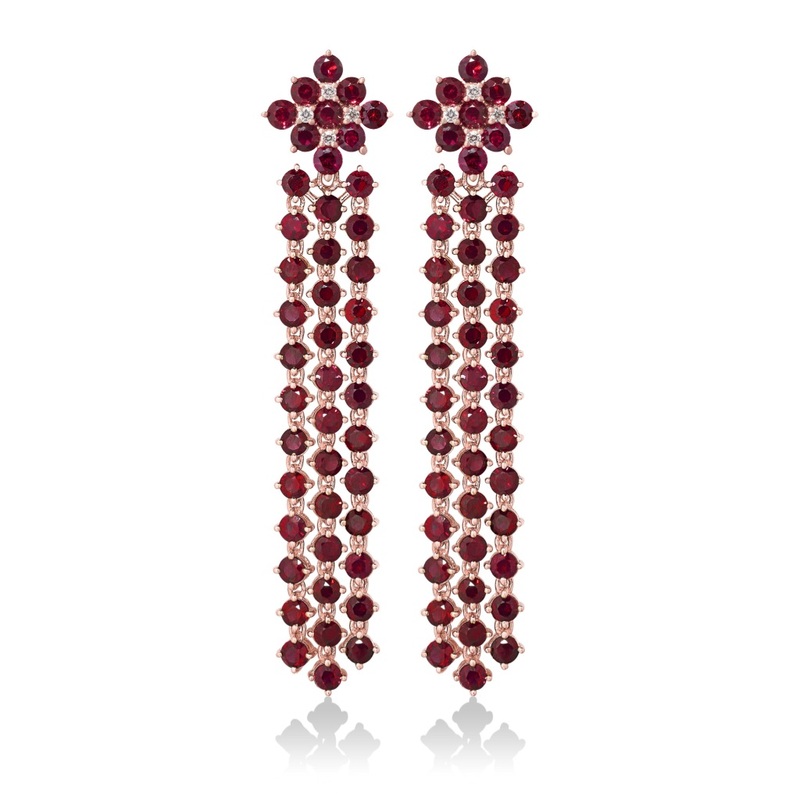 Chic and Glamorous Earrings. 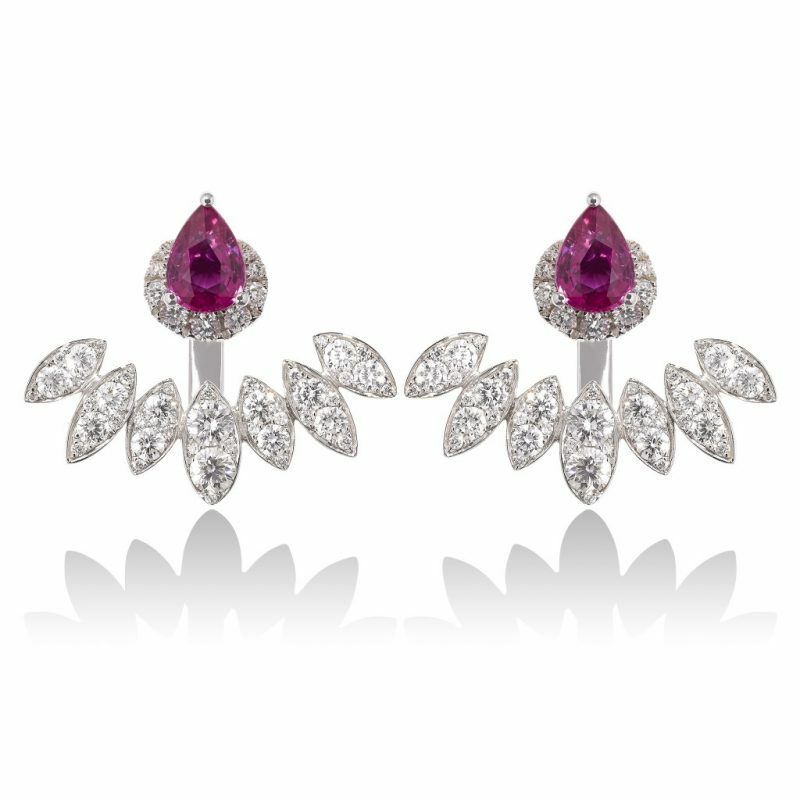 Incredibly versatile Pink Sapphire studs with Diamond pavé surround, wear with Diamond Ear Jackets, for an uptown glamour look. 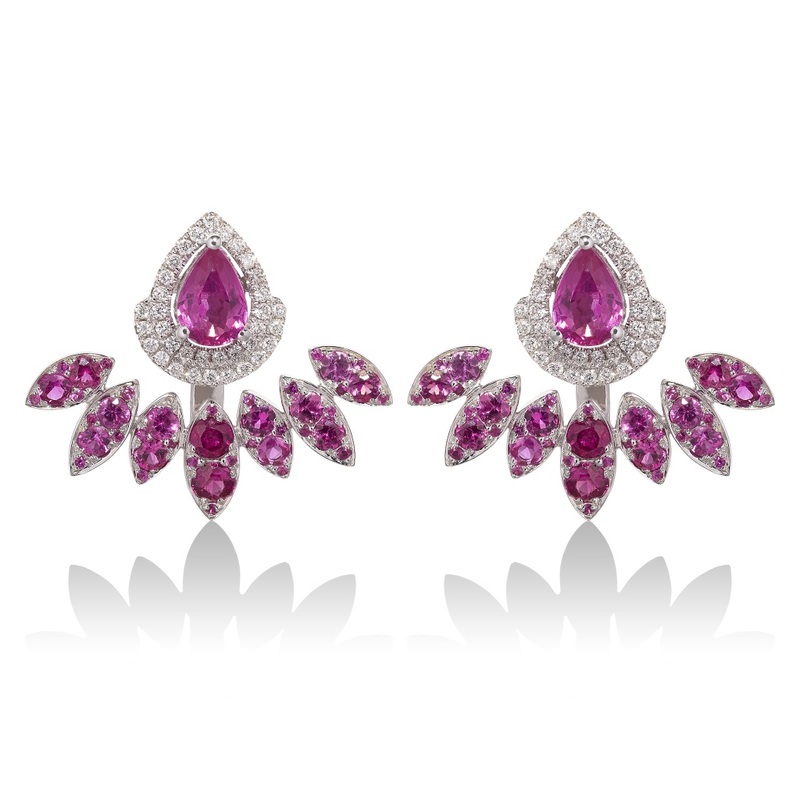 For a paired down chic look, wear without the diamond ear jacket. 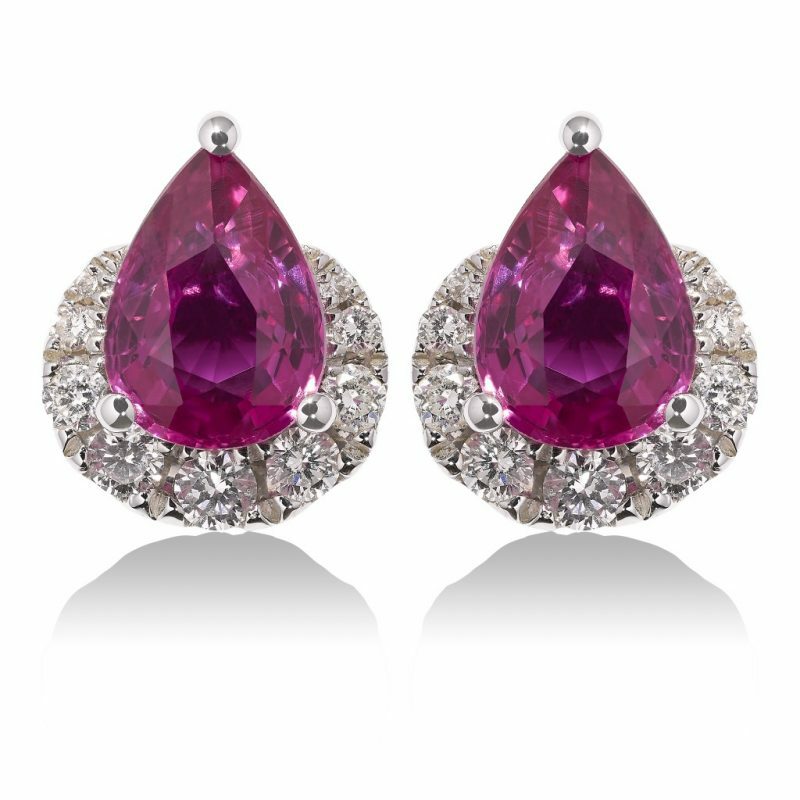 The pear shaped Pink Sapphire stud with diamond pavé worn its own is the epitome of everyday chic. Inspired by the Indian Diwali lights.